Disclaimer: I have put off writing this post for one reason and one reason only: I don’t want to deal with the whole vaccine debate. If this post turns into that type of situation then I will be turning off the comments section, if needed. My blog is about my personal parenting journey. And when it comes to me and my family: we vaccinate. What I have learned recently about pertussis has only made me feel more strongly about vaccinating and that is something I will not be wavering on. When I gave birth to Britt they asked me in the hospital (post-devliery) if I wanted a whooping cough vaccine and/or a flu shot. I went ahead and got both since she was a winter baby but I had no clue what a whooping cough vaccine was. I’d never heard of whooping cough nor had it ever been mentioned to me before at any prior appointments either for myself or my kids. This pregnancy though? Totally different story! I have gathered as much information as I possibly could about all of this so I could understand it all and so I could share it with others. First of all…what is pertussis??? You can hear what the cough sounds like here! Could my baby really be affected? The pertussis outbreak in California has recently reached epidemic status, you can read more about that here. 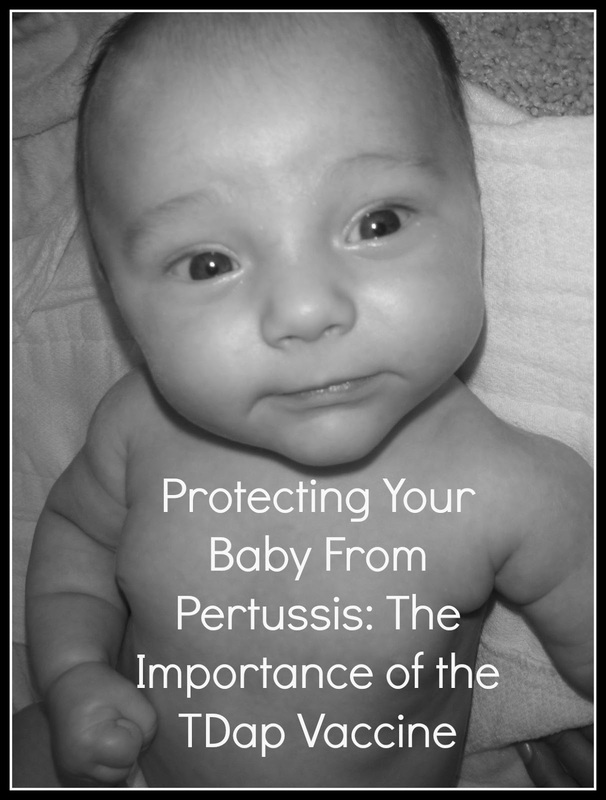 Locally, I have heard of two cases of pertussis that resulted in the death of the infant. Both my midwife as well as my children’s pediatrician know the cases personally and are therefore very, very passionate about people being vaccinated. Just as I am more passionate about SIDS after having been close to someone who experienced it firsthand, when you know someone personally affected by something you naturally become more aware about it and want to protect others from having the same thing happen to them. While our local amount of cases has not yet reached the epidemic status like in California…there have still been a significant number of reported cases. You can read more about that here. More info about the pertussis outbreaks on a national level can be found here. While all the stats are very scary, they are only based on reported cases. Which many of the cases go unreported since it is often misdiagnosed. So really these stats should probably be even higher. You can hear about people’s personal experiences with pertussis here. This article about two mothers sharing their pertussis stories went around Facebook back when I was early pregnant with this baby and it is actually the very first time I learned about pertussis. Infants and children receive the DTaP vaccine. DTaP stands for diphtheria/tetanus/pertussis. Children should get 5 doses of DTaP, one at each of these ages: 2 months, 4 months, 6 months, 15-18 months and 4-6 years. Even if babies have already begun their DTaP vaccine series, they are not considered protected until they have had at least three doses (yes, that means this is a major concern for any infant under 6 months old!). TDaP vaccine stands for tetanus, diphtheria and pertussis. It is usually given to adolescents at ages 11 or 12. This is also the vaccine booster adults need to receive in order to protect your baby. They are finding that the last TDaP people received at around ages 11-12 is losing it’s ability to protect after 5-10 years. It is SO important that anyone who is around young infants get the adult pertussis vaccine (TDaP) right away. Any close family members, care givers, etc should all get the vaccine. As long as your children have been following their vaccination schedule with their pediatrician, they are fine. Your husband, other close family, babysitters, and basically anyone who will be in close contact with your baby needs to be vaccinated with the TDaP booster. How do we get the vaccine? This is where we had an issue. Our local health clinic could not administer the vaccine to anyone over the age of 18 who had the TDaP within the last 10 years. This is something I think will change soon. Since the health department is run by the state they have to follow the guidelines set by the ACIP. As of right now, the CDC has NOT updated their recommendations to reflect the need for the TDaP, therefore state run departments cannot administer it unless it’s been 10 years since you have received it. The CDC is currently recommending that after the TDaP at age 11-12 adults only need to have the TDaP booster again once per lifetime. This is still the recommendation even though they also report that it does lose it’s effectiveness over time and is the most effective within the first two years of receiving it. You can read more about the CDC’s recommendations here. Locally I have spoken personally with my midwife as well as my pediatrician about the need for the vaccine and both sources are recommending that EVERYONE get the TDaP vaccine, regardless of the last time they had it. That is should NOT just be a “once per lifetime” thing but an at minimum once every 5 years thing. My pediatrician told me that I need to keep my baby away from large gatherings until he or she has had his or her first round of vaccinations plus two weeks (so assuming the baby gets the shots at 8 weeks old…I wait until 10 weeks old to go out in public like church, etc). I also need to not let people hold my baby until he or she is 6 months old unless they have had the TDaP vaccine within the past 5 years. Thankfully we have a very supportive family and everyone jumped on board with getting the vaccine. Zach, for example, had the vaccine back in 2007. We traveled through India on the way to our honeymoon and both got the TDaP as part of our vaccines prior to our travels. Therefore, when we went to the health clinic they told him they could not give it to him. 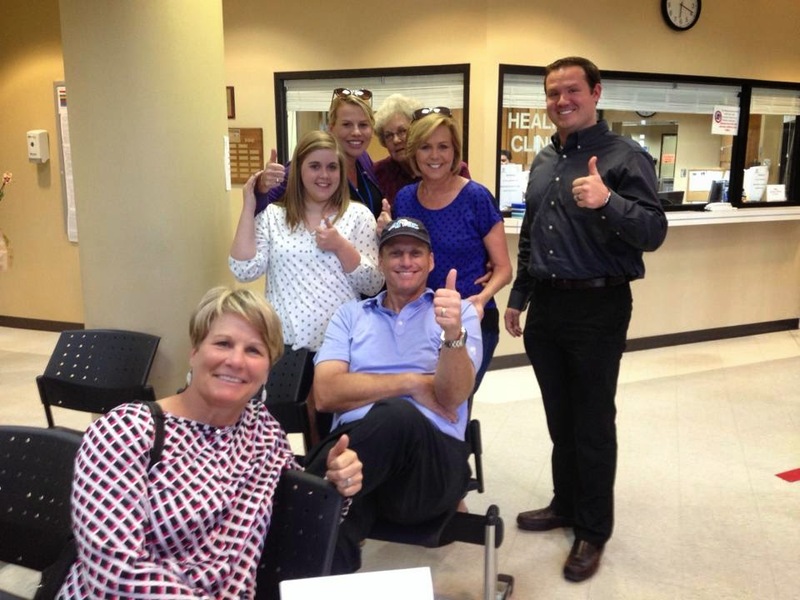 While they couldn’t administer the vaccine…they did still tell encourage him to go get it elsewhere. Basically this is a case of where the government hasn’t updated their recommendations to what the actual need is! Just some of our family who went as a group to get their TDaP! Even though you cannot get the TDaP at a local health department if you’ve had it within the past 10 years…you CAN go to other places! Zach simply went to a walk-in drs office here in town and got it with no issue. Private practices and any other place that is not run by the government can and WILL give you the TDaP regardless of the last time you had it. It is better to be safe than sorry! I have heard of many pharmacies and such offering the shot as well. A simple phone call will help you locate the easiest, quickest place near you! I will be continuing to check out this page on the CDC’s site. With all the outbreaks of pertussis recently, I expect to see them updating their recommendations soon! In the meantime, I will continue sending family and friends to other places in town where the vaccine is offered. Our vaccines only cost us the price of our co-pay for the dr visit so there really is no excuse not to have it! The CDC recommends for everyone to have it two weeks prior to coming in contact with the baby (so my friends and family…that means NOW!). There are many sites with great information, the two where I got most of my information for this post are: soundsofpertussis.com and the cdc. Personal Note: I am VERY excited about the upcoming birth of our new baby. This whooping cough scare is very overwhelming and frightening. It is one more thing to worry about with a newborn and Zach and I both plan to take it very seriously. We look forward to LOTS of visitors in the hospital, at home, and even out and about. We love you all and appreciate your excitement and joy surrounding our newest blessing. However, if you have NOT received the TDaP vaccine/booster within the last 5 years (or if you are not sure if you have!) PLEASE do not ask to hold our baby. We would much rather play it safe with this than put our baby at any kind of risk. If you are unsure if you have had the TDaP, the health clinic in town can easily (and quickly!) look up your records for you and let you know. Thank you SO much in advance!!! I actually got a tetanus shot last week after stepping on a nail! I had no idea it covered pertussis too. This is great information, Thanks! My daughter was born the day after Kye 🙂 and two weeks after we got home from the hospital with her we got a call from our health department that a nurse on the mother baby unit at the hosptial where she was born had been diagnosed with whooping cough. Me, my husband, our brand new baby, and everyone who had come to visit us at the hospital had to go on antibiotics for 10 days. It was terrifying not knowing if my tiny newborn was going to get it or not!!! She was fine, praise the Lord, but since then I have also tried to educate and encourage people to the vaccine because it is here and a real thing. So glad you are spreading this valuable information! My parents always kept me on a vaccine schedule. Hated them then, love them for it now! I rarely get sick other than "hay fever". I have also received the TDaP and didn't even realize it! Great post Emily! 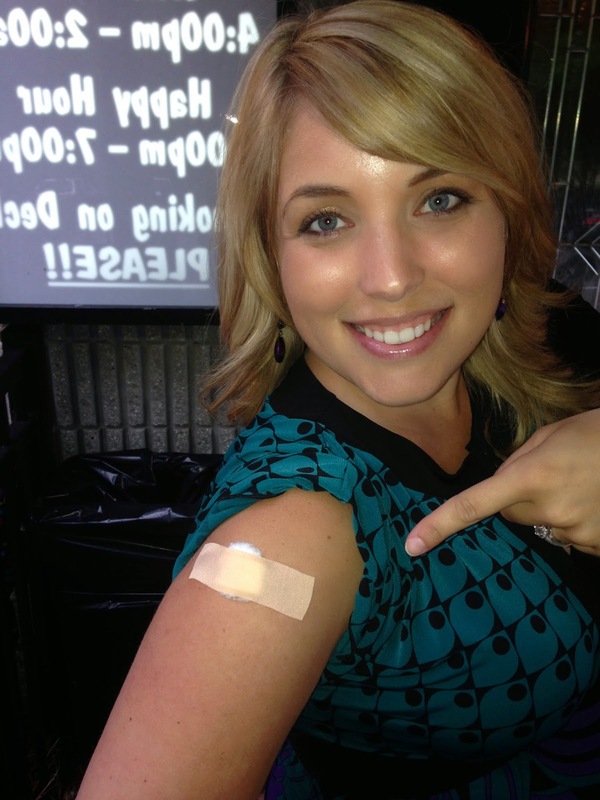 Most tetanus shots given to adults now also include the pertussis vaccine. I had a terrible reaction to the vaccine when I was an infant and so I haven't gotten the vaccine since then (over 27 years ago). I've talked with my doctor and they changed the pertussis vaccine sometime in the last 20 years, and so now it should be safe for me to get. As I have a 10 month old, I definitely want to protect her as well as any other children my husband and I are blessed with.Sorry, but I have to mention this because spelling/grammar errors drive me insane – it is "whooping cough" not "whopping cough". You are absolutely righe,and do it.Wonder Beautyis a China Lingerie Manufacturerand We also Wholesale Lingerie and Clubwear.